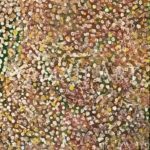 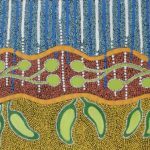 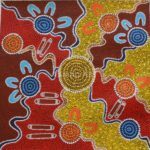 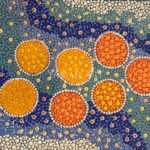 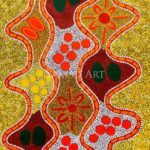 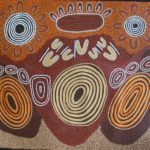 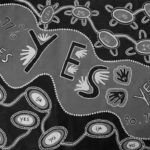 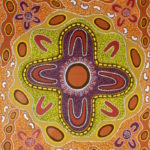 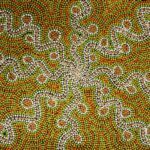 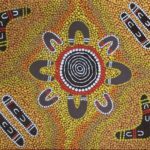 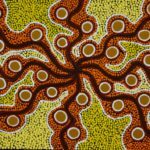 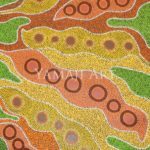 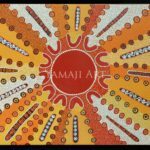 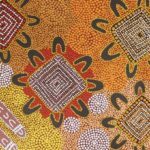 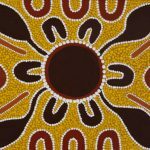 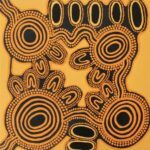 Wajarri visual artist ,Margaret was born on Billabalong Station in the Murchison , Western Australia. 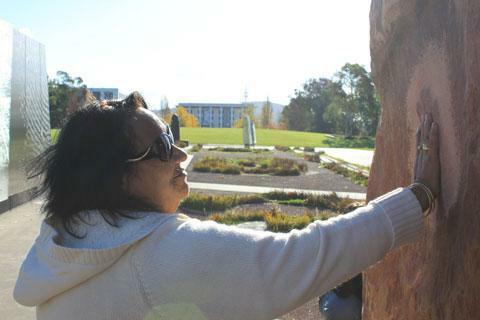 She is the second of seven children. 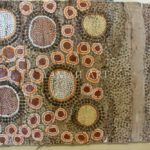 Her childhood was spent swimming and fishing in the Murchison River and going to Tardun Mission School. 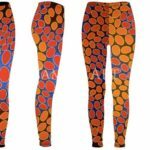 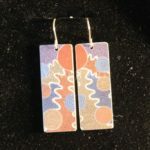 Her inspiration comes from the works of other Aboriginal artists and her Auntie Olive Boddington. 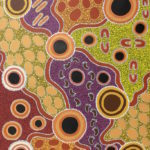 She came to painting later in life and has only been working as an artist , she studied art at Geraldton TAFE through Wila Guthurra for short period prior to joining Yamaji Art Centre .Margaret paintings are a mixture traditional and contemporary Aboriginal styles and techniques each telling a story about the Murchison , her ancestral lands and her childhood . 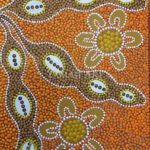 These include the types of bush food found on her ancestral lands. 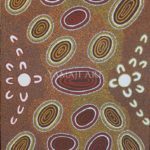 Margaret is the mother of seven children herself and is an industrious and prolific artist. 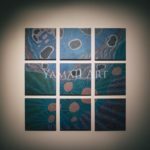 Her current works are reflections of Yamaji country. 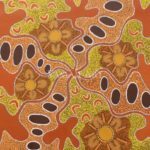 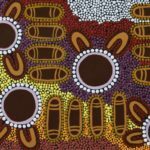 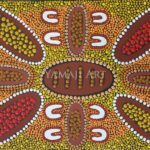 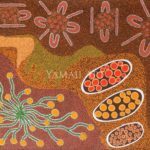 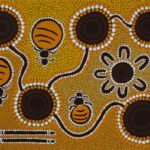 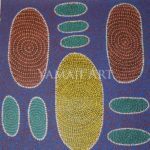 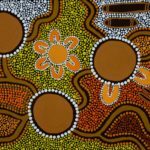 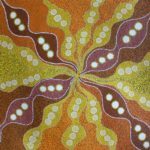 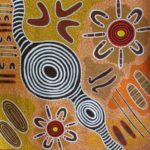 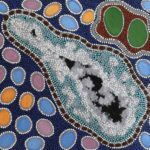 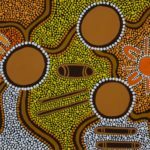 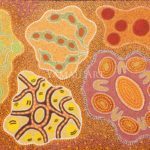 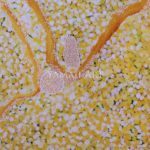 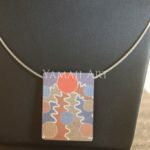 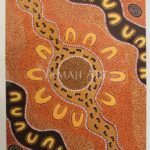 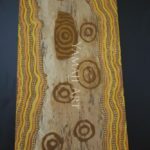 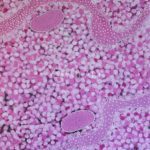 Margaret now lives in Geraldton Western Australia , she is represented by Yamaji Art Centre in Geraldton Western Australia.